Beijing seeks to polish its global brand through efforts in Africa and a willingness to cooperate, but more is needed. Mounting accusations of Chinese debt traps, trade imbalances, and neocolonialism in Africa made for a heady backdrop to this month’s meeting of the Forum on China-Africa Cooperation. China’s Xi Jinping made clear he was having none of it. 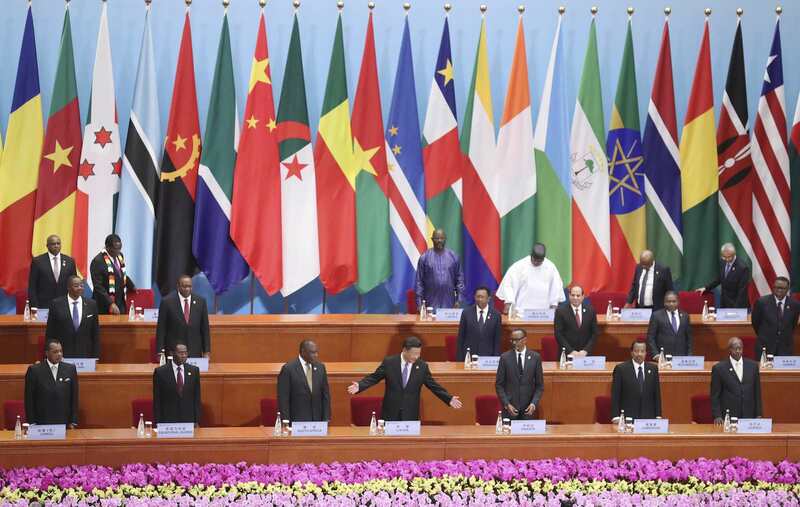 In his keynote speech to African leaders gathered in Beijing, Xi announced the cancellation of interest-free debt for the continent’s most heavily indebted, landlocked, and least-developed countries. He went on to reiterate China’s principles of non-interference, respect for sovereignty, and “win-win cooperation”, and vowed not to seek “selfish political gains in investments and financing cooperation with Africa”. Xi then went even further. He hoped this approach, adopted by China, “could apply to other countries as they deal with matters regarding Africa”. This was clearly Xi looking to Africa to help improve China’s global image … wary of the risk that this poses to its investments. This was clearly Xi looking to Africa to help improve China’s global image, using the high-profile nature of the Forum to deflect criticism of China’s development approach and signature Belt and Road Initiative. Beijing is wary of its negative image and the risk that this poses to its investments. It is also aware that traditional donors, especially the US, are finally sitting up and starting to acknowledge China as a more serious player in international development. China has historically viewed itself as misunderstood and exploited by foreigners – which resonates in Africa – and seeks to rectify this as it asserts its economic and political influence beyond Africa. Within Africa, China has taken important steps to improve its image as a development partner. This is most obvious through China’s regional soft power initiatives. Regular visits by party leaders and China’s foreign minister, the proliferation of Confucius Institutes, and sponsorships of scholarship and training programs for Africans in China contribute to improved cultural, language, and people-to-people exchanges. More recently, the increase in Chinese media on the African continent is set to further strengthen China’s soft power through positive media coverage of China’s policies and activities. China has also sought to mitigate the negative environmental and social impacts of some of its projects in Africa, as these are most visible to local populations. It has gradually introduced environmental and corporate social responsibility guidelines for Chinese companies investing overseas, which, although nonbinding, is an important step in the right direction. In a surprise move, China banned the ivory trade in 2017. It is following a stronger international focus on green financing, and making a concerted push into renewable energies, supporting the expansion of several of its key industries in Africa. More strategically, China knows that demonstrating durable, positive development impacts is the most effective way to improve its image and is thus reforming the way it plans, implements, and monitors the impacts of its foreign aid. At the Forum in Beijing, Xi admitted there was a need to look more closely at the commercial viability of some projects, and make cooperation more sustainable. A key approach to this has been to learn how other donors do development. China regularly seeks policy guidance and support from the United Nations Development Program in Beijing. By bidding on World Bank contracts, Chinese companies learn about its procedures and standards. China is also exploring trilateral cooperation with traditional, bilateral donors in areas such as disaster relief and health. Admitting that China was interested in ascertaining how the United States Agency for International Development implements, monitors, and evaluates development projects, earlier this yeara Chinese official requested to meet USAID representatives in Africa. China’s new independent foreign aid agency, the State International Development Cooperation Agency (SIDCA), was announced in April 2018 with the mandate to strengthen strategic planning and coordination, and consolidate management of foreign aid programs. Until now, China’s foreign aid apparatus has been ad-hoc and opaque, with internal rivalries between the Ministry of Foreign Affairs and Ministry of Commerce hampering strategic direction. A more carefully managed Chinese aid apparatus should help China curb unprofitable and unviable development projects and project a more competent image of China in development. China’s efforts within Africa appear to be paying off. My research on perceptions of China in Madagascar, that of other scholars in countries across the continent, and findings from the 2016 Afrobarometer report, show that perceptions of China in Africa are, on the whole, positive. However, in other parts of the world the overarching narrative about China in development remains negative. Will an improved image in Africa and a more structured approach to foreign aid help China change the global narrative? Probably not. China will need to do more. It is doubtful how much real progress can be made unless it takes some of the legitimate critiques to heart and seriously begins to address the fundamental issues that underscore most of them: those related to human rights, accountability, and transparency. In his speech at the Forum, Xi also vowed that “China will remain committed to opening-up”. Until the Chinese government increases transparency at home and in its dealings abroad, popular perceptions of China in Africa will stay tarnished. There needs to be better recognition of the risks involved in not disarming North Korea. While Vietnam would welcome American warships sailing near the disputed islands, other Southeast Asian counties would be concerned about escalating militarisation. Australia can showcase the importance of international cooperation to stop the spread of pathogens.